Say macadamia nuts and you think Hawaii, you think sweet, you think cookies. But ground macadamia nuts make a fabulous and interesting coating for mild halibut fillets baked in the oven and finished with chopped cilantro. Cod or another thick, firm-fleshed white fish can be substituted for the halibut in this recipe. This recipe is found in "U.S.A. Cookbook" by Sheila Lukins. In another shallow bowl, beat the eggs with the cayenne pepper. Place the chopped macadamia nuts in a third shallow bowl. Dredge the halibut fillets in the flour, shaking off any excess. Dip them in the egg mixture and then dredge them in the ground nuts, covering them completely. Place the fillets on the prepared baking sheet. Drizzle each fillet with 1 tablespoon of the melted butter. Halibut is in the flounder family, and it's referred to as a hippo fish, not just because of its scientific name (Hippoglossus stenolepis) but also because of its whopping size at maturity. Some female Pacific halibut can grow to 400 pounds. Pacific males are generally smaller, at about 125 pounds. Atlantic female halibut are not quite as large—from 100 to 150 pounds generally—with males about 50 to 100 pounds. Still, that is one big fish. Only tuna, swordfish, and some sharks are bigger. They live to be about 40 years old on average and are found in the Atlantic and Pacific and especially in the waters surrounding Alaska. Like all seafood, halibut is good for you. Not counting any breading or frying, a half-pound filet has 379 calories and 28 grams of fat, including 4.9 saturated grams. It contains 0 carb grams. 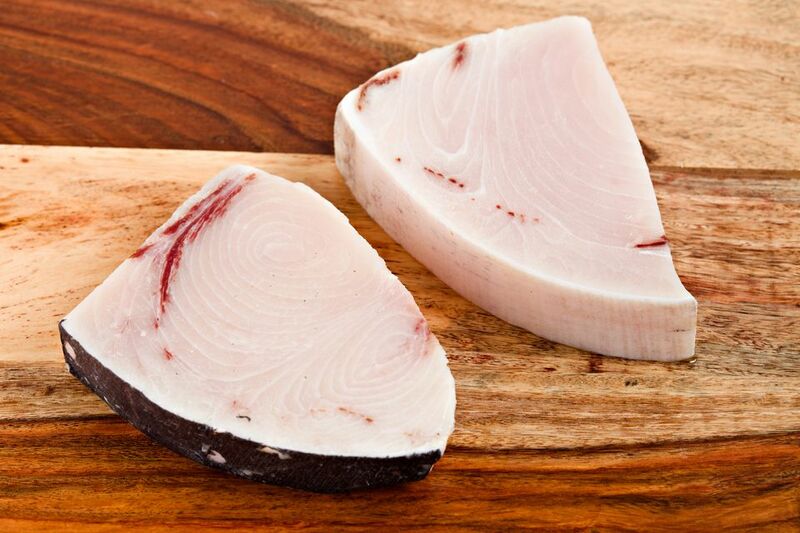 Halibut is an excellent source of potassium and vitamins D, B6, and B12. In this recipe, macadamia nuts add flavor, interest, and calories. One ounce contains a bunch—204. It also has 21 grams of fat, of which 3.4 grams are saturated. The nuts also add nearly 4 grams of carbohydrates to your daily number. But the good news is that nearly 2.5 grams of that is fiber and macadamia nuts also are a good source of magnesium.